If you seek awesome wireless headphones or wireless Bluetooth headphones that will gladden your heart and suit you as a person, this article has you covered.Wireless headphones come with their own advantage, no one fancies dancing into wires every now and then. 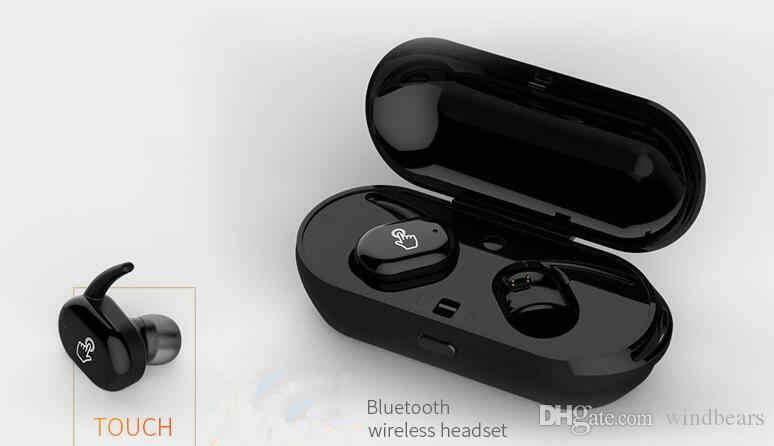 After careful research, here is the list of 5 Best Wireless Bluetooth Headphones/Headsets In Nigeria.All this will depend on your reason for purchasing it and then the plans you have financially to make a buy possible.There are several headphones up for sale, it is up to you to read this and discover the best option. This headphone aids TF card up to 64Gb and accommodates formats like MP3, AAC, and WAV. It also has an inbuilt radio receiver that receives every radio frequency and can have them stored. There is also a pretty and dope LCD display Technology present. Its speaker diameter and impedance are 40mm and 32ohm respectively. It uses a Lithium battery and it can be fully charged within 4 hours as the capacity is 400mAh. This headset is quite popular. It was designed for efficiency and comfort in the working environment. It is very flexible with its neckband. It possesses two microphones just to ensure your voice calls are very clear. There is also a 12mm Dynamic Speaker Unit and with that, that you enjoy a robust and soothing sound anytime you want. The Samsung Level U Bluetooth Headset is very much blessed with features that aids with your preferred sound and even phone calls. You enjoy advanced Bluetooth with this one and pairing is very rapid with a reliable network up to 33ft/10m Bluetooth range. Expect increased bass and more volume with zero noise when you part with cash with his headphone. Its Smart Touch Controls also simplifies the process of managing calls and having total control of your songs. It comes with a 450mAh charging and also aid recharging of your earphones are up to three times. There are 2 earbuds to be used to pick phone calls and its remarkable sensitivity microphone makes sure the sound is nothing less than apt. No need to be bothered about water damaging your earbuds also, as they are waterproof. Even your sweat cannot damage them. It has a stereo Bluetooth v4.2 alongside TF card MP3 player. Its transmission range when it functions is 10M. When the headset is in standby mode, it will last up to 120 hours while if you are putting it through active use, you get just 3 hours. It is a real wireless experience with this earbud. It fits perfectly into your ears and its design is beautiful. Sound emanates in an effective and powerful manner. Thumping bass is enjoyed with it plus all thanks to its Bluetooth 4.2, music streaming is something to write home about. You are also able to enable Noise cancellation to have the sound you deserve. There is also a mic that will cater for receiving, cutting and rejecting calls. There you have it – a comprehensive list of best wireless Bluetooth headphones in Nigeria. If you have other recommendations, feel free to drop them in the comment below.